All Grain English Barleywine homebrew recipe. 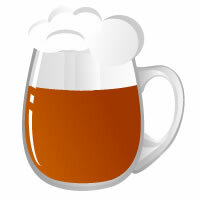 This homebrew recipe uses the following ingredients: Maris Otter Pale - UK, Chocolate - UK, CaraMunich III - DE, Magnum Hops, Challenger Hops, Danstar Nottingham Homebrew Yeast. This recipe was cloned from Basic barleywine.